Hi guys! Meg from Green With Decor here, and I’m excited to be back at The Kim Six Fix today. 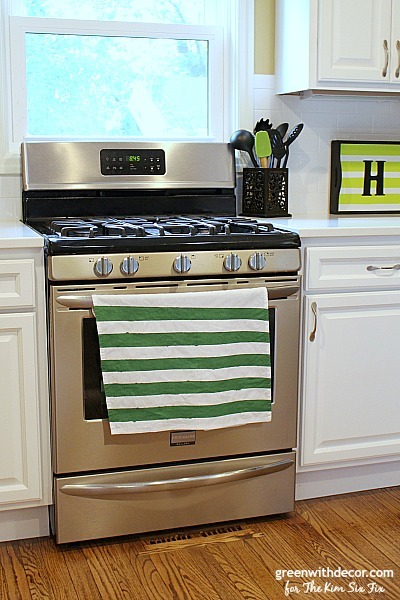 I have a fun DIY dishtowel project to share today. 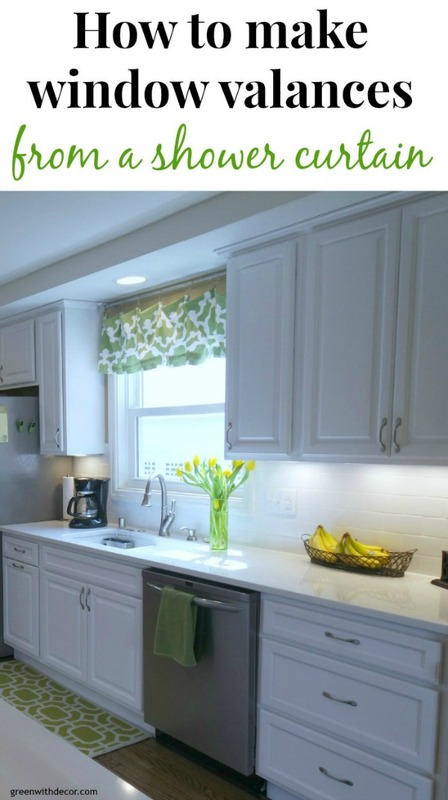 I love white kitchens. 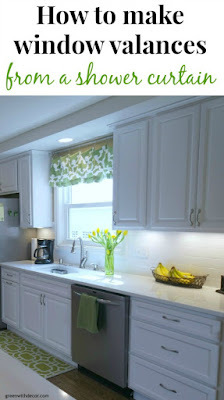 When we renovated our kitchen a few years ago, we picked white cabinets, white counters and white backsplash. I love it and am still happy with our choices. 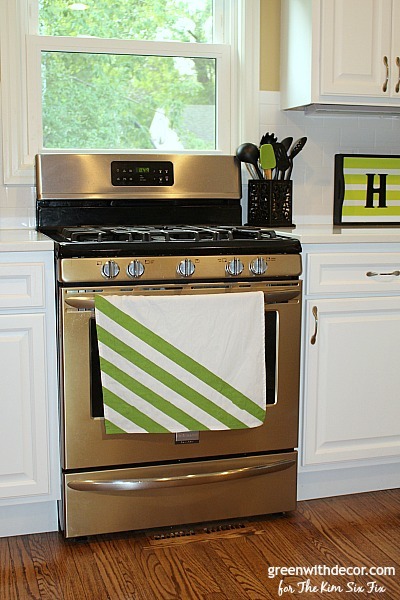 Plus it makes it easy to add pops of color to the space without worrying about anything not matching the white counters and cabinets. Big surprise, but most of my pops of color in the kitchen are green! We needed some new dishtowels and after looking around, I decided to make my own. 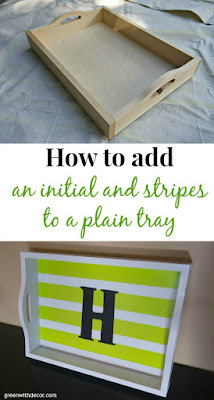 I always love DIY projects that are fun to make and are useful around the house. 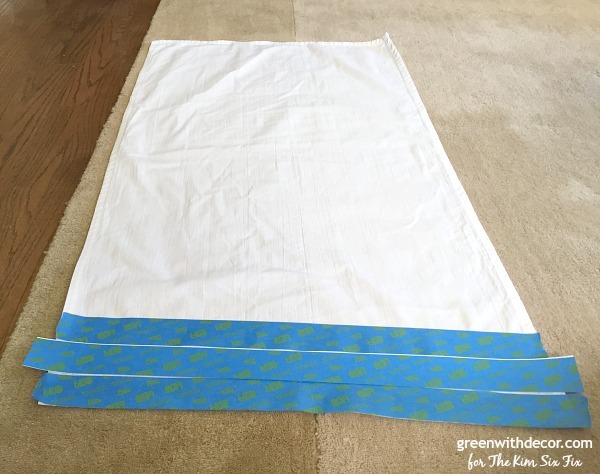 I started by laying out the design on the dishtowels. 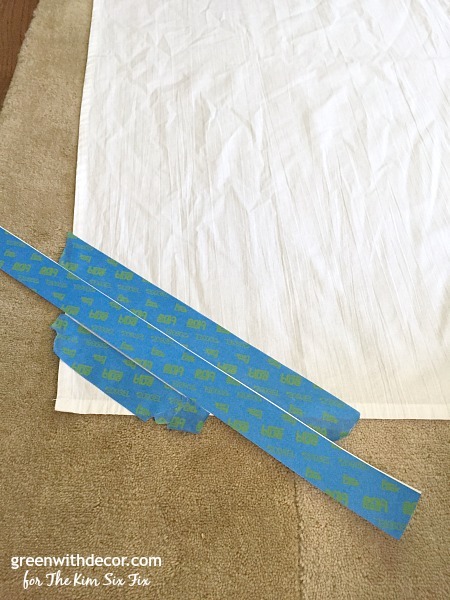 I used painter’s tape to lay the stripes. 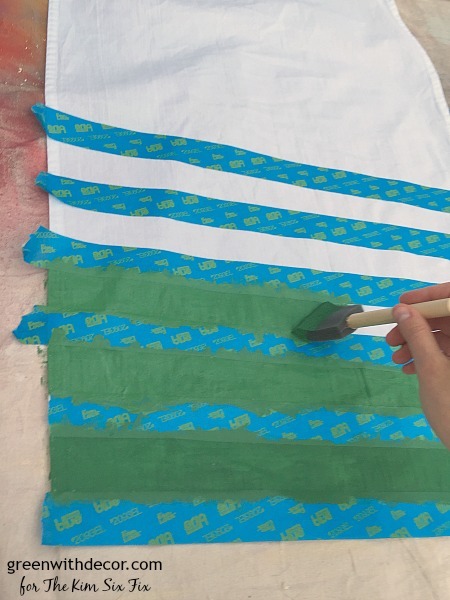 I taped a piece of painter’s tape to a piece of paper, using that as a makeshift stencil so the painted and plain white stripes would be the same width. 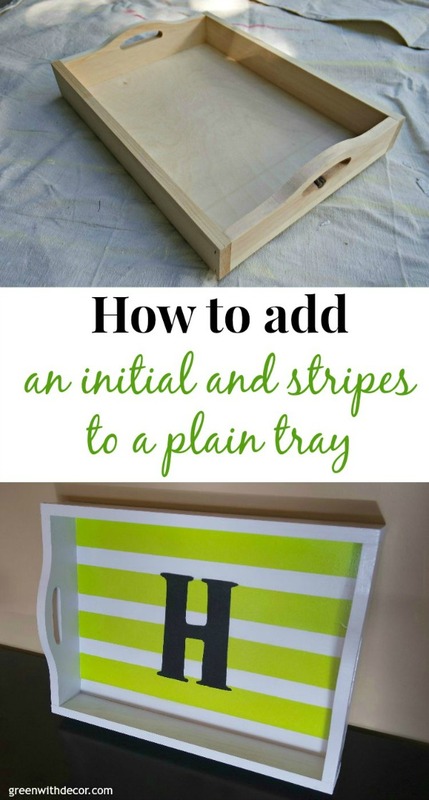 Something about having the stripes the same width makes the organizer in me happy! Of course, feel free to make the width of the stripes whatever size you want. 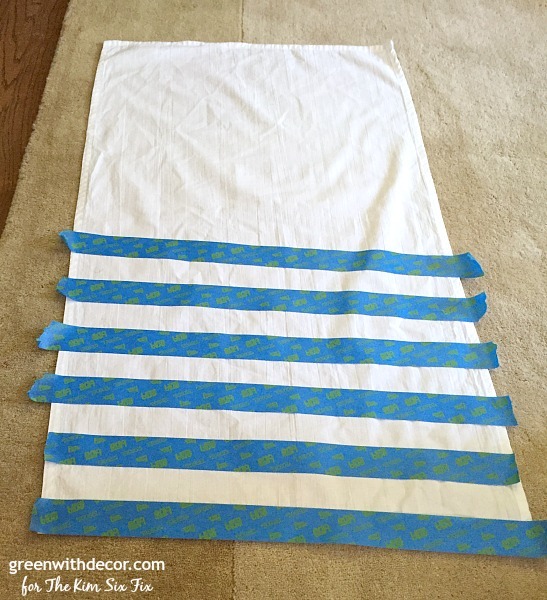 I chose to decorate about half of each towel, knowing the plain half would be hanging behind the front half anyway, so it wouldn’t matter if it was painted or not. 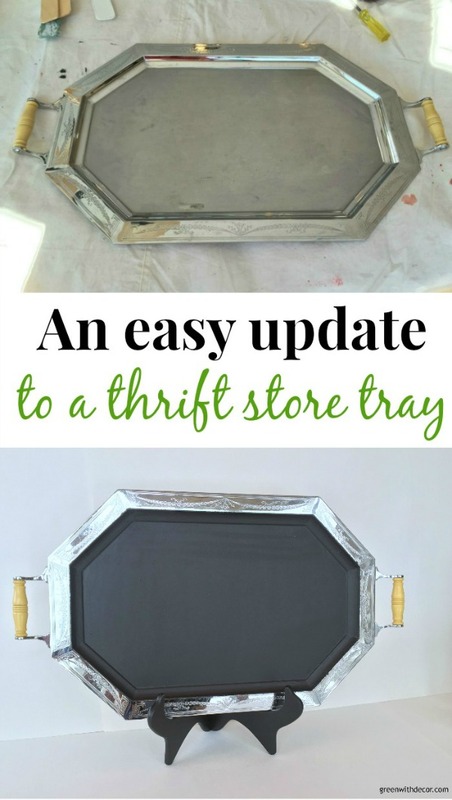 Shake your fabric paint to prep it for painting. 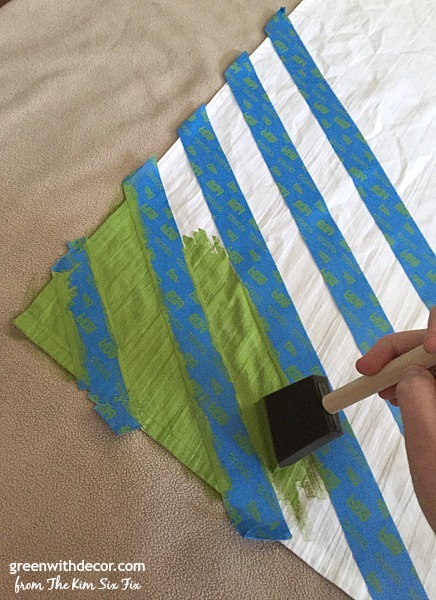 Then use a foam brush to apply the paint to the towel. I dabbed it on rather than using brush strokes. One coat was enough. I just filled in a few spots where the paint was a little thin. 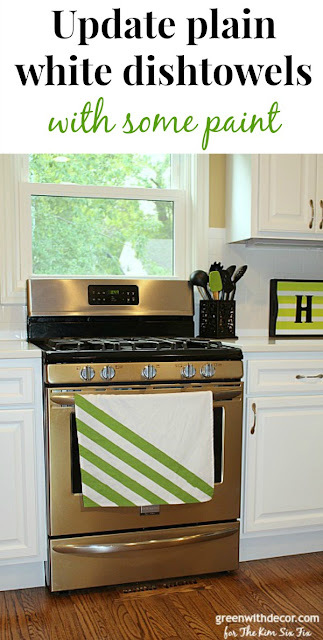 I love the pop of color they add to the kitchen! How do you add color to your kitchen? 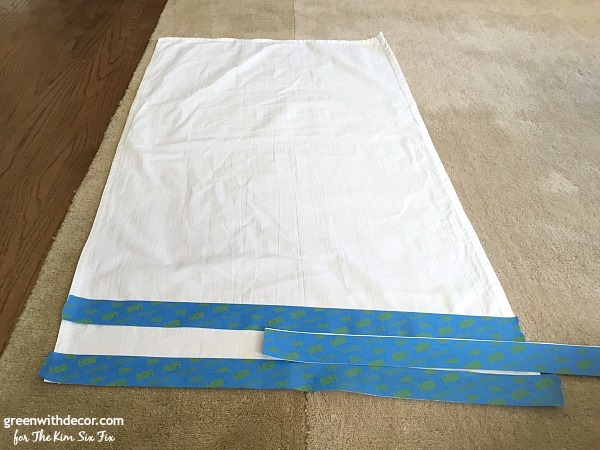 If you like this post, check out how I made window valances for the kitchen from a shower curtain. 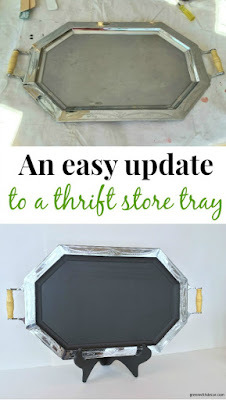 If you like painting projects, you may like this post about adding chalkboard paint to old thrift store trays. Thanks, Kim for having me today!